The African, Afro-Caribbean and African American Photographs and Ephemera Collection held by the Robert D. Farber University Archives & Special Collections Department contains fifty-eight items depicting people of the aforementioned backgrounds and their histories from the year 1847 to the 1960s. It is arranged first geographically and then in chronological order. While there exist no records of where this collection came from or who assembled it, in its half a linear foot the collection alone speaks volumes about the black experience from Africa to the Caribbean over a century of history in the United States. The three photographs taken mostly in South Africa around 1900 show native men participating in an interesting array of organizations and activities. There is a photograph of a rural Zulu prince and his aides on a kraal, or a South African homestead. Another is of two young men pulling a rickshaw in traditional garb, evidence of urban life in early-twentieth-century Africa. 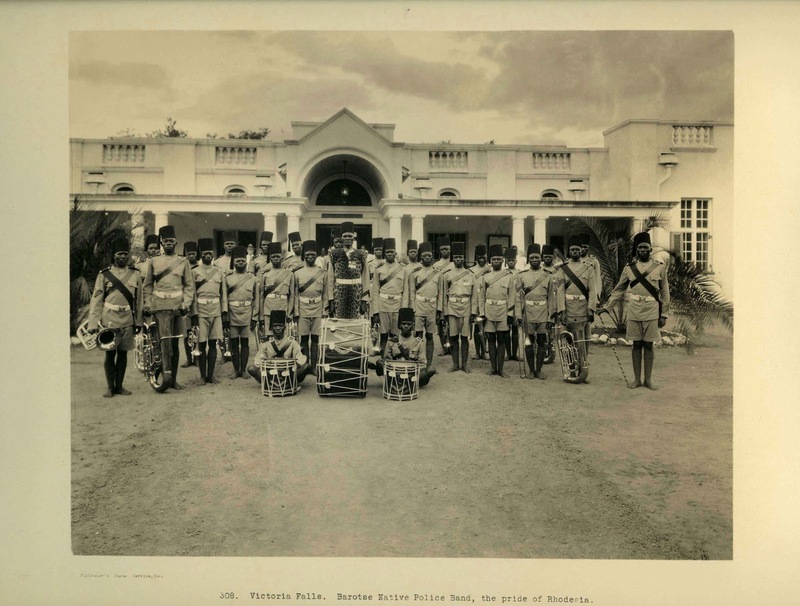 One photograph that stands out is of a “Barotse Native Police Band,” an organization of men whose uniforms consisted of Western shirts and shorts, fezzes, and bare feet with what appears to be leather wrapped around their ankles and shins. Whether or not this organization was headed by European colonizers, the photograph shows African men participating actively in an important part of their local life. The five images in this collection that come from the Caribbean, particularly Haiti, give the viewer a small window into the lives of people living there in the nineteenth century. 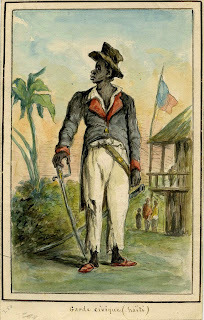 The two watercolors of “Le Prince Bobo” and a member of the civic guard are perplexing without proper context, but they demonstrate the emergence of artistry and a self-organized military in the former slave colony of Haiti. 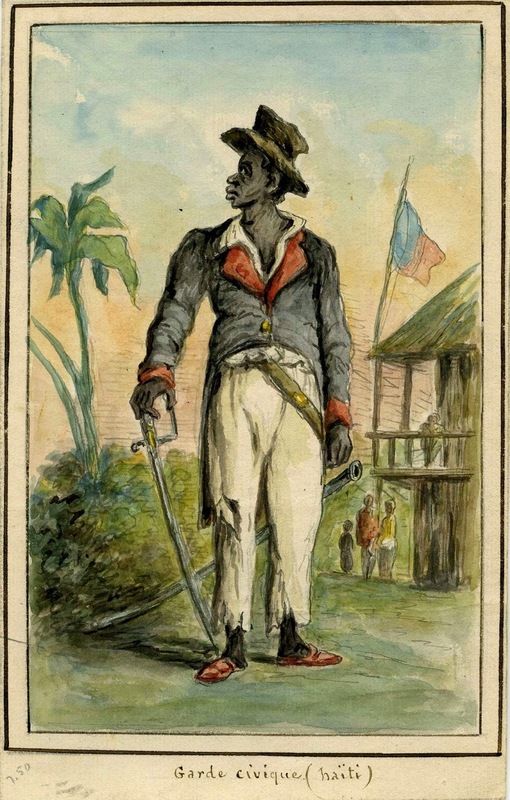 The sole image in this collection of somebody from the Dominican Republic, Haiti’s neighbor to the East, is also of a soldier. 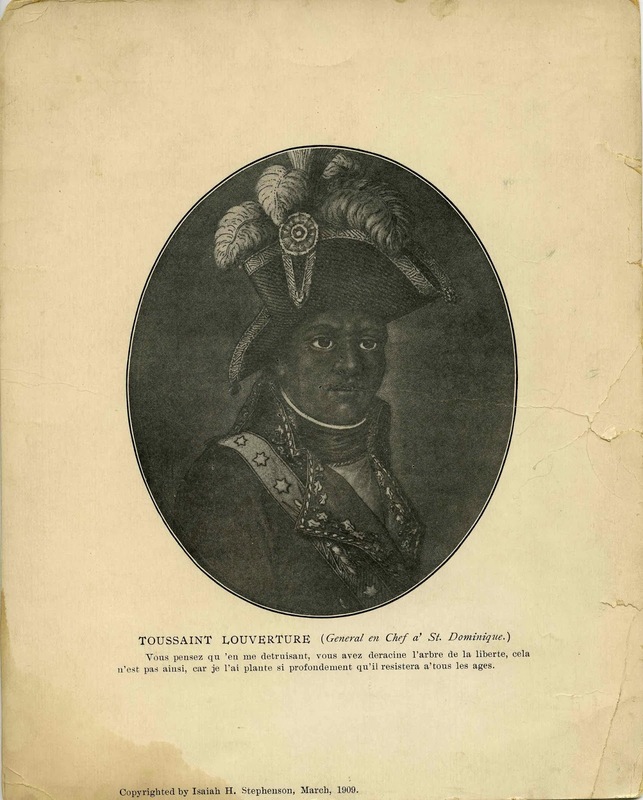 The most recent image in the collection, an engraving of Toussaint L’Ouverture from 1909, shows that more than a century after that first successful slave rebellion, Haiti’s heroes were still being remembered. By far the most extensive and diverse series in this collection is the one containing photographs and ephemera from the United States. The images range from 1847 through the Civil War and Reconstruction all the way through both World Wars to around the 1960s. 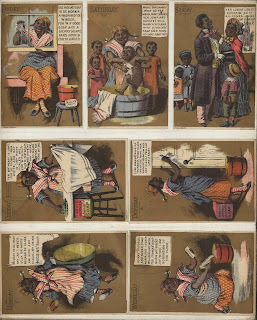 These images are not only of soldiers, but also of people escaping slavery, activist groups, entertainers, preachers, caricatures of black people in advertisements and on trading cards, college students, and ordinary families. The images illustrate both the traditional narrative of African Americans fighting to liberate themselves from oppression and the quieter, less often told story of black people, through everything, living rich, full, ordinary lives through or even in spite of that fight. One photograph that epitomizes the range of this collection is the group portrait of the Storer College Cornet Band in Harpers Ferry, Virginia, taken on January 4, 1908. 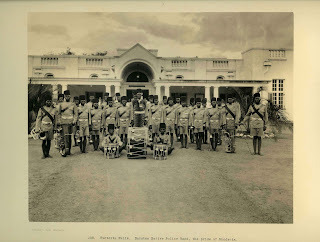 The young men in the photograph pose stiffly with their instruments, a drum in the corner painted with words proclaiming the date and the name of the band. Upon closer inspection it becomes clear that one of the musicians has a tiny kitten in the bell of his euphonium, a small splash of personality that brings to mind similar antics of college students now living a century later. It is a very normal picture, but remarkable in that it was taken at a black college in the same town where John Brown led his famous raid in 1859. 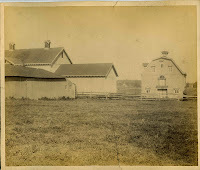 Only forty years prior in the same location, the students receiving a level of education uncommon for Americans of any ethnicity in 1908 would likely not have been free men, and in that case would almost certainly not have been allowed a formal education or even to learn how to read. There is something poetic about the juxtaposition of these young men and their little cat with the knowledge that a violent and pivotal moment in African American history took place not far from where they were posing. 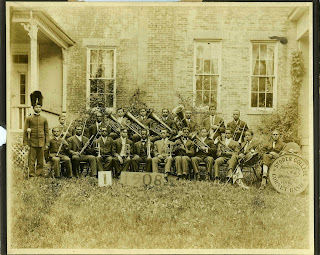 The portrait of the Storer College Cornet Band is one example of the range of experience African Americans have had throughout American history, and the collection holds even more. 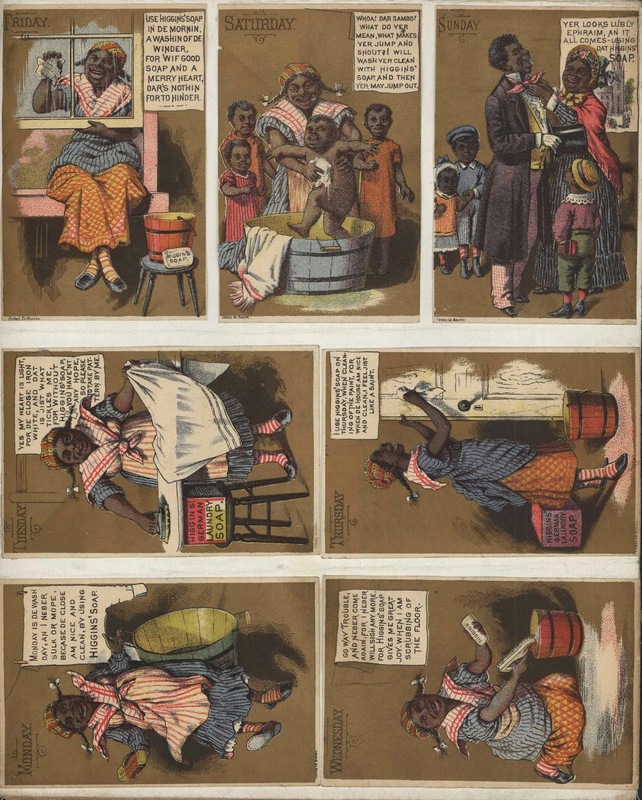 In one folder there is a portrait of a black family with a picture of their farm printed on the back; in another, a collection of trading cards depicts a cartoonishly rendered black woman speaking in a stereotypical vernacular about the many wonderful traits of Higgins Soap. 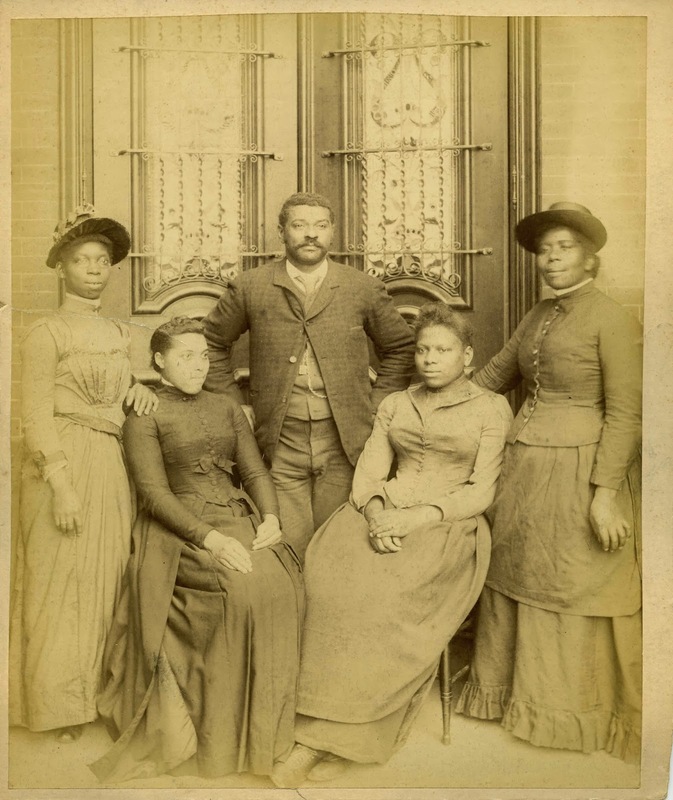 Another folder contains a portrait of the founding of the National Association of Colored Women’s Clubs, an activist organization that still exists today. The African, Afro-Caribbean, and African American Photographs and Ephemera Collection has a wide array of items that can be difficult to summarize, but that range allows whoever may look through it to see the diversity of black life around the world, from native police in African cities, to civic guards in independent nations that were once slave colonies, to college students sneaking their pet into a formal portrait at the site of a major event in their own histories. 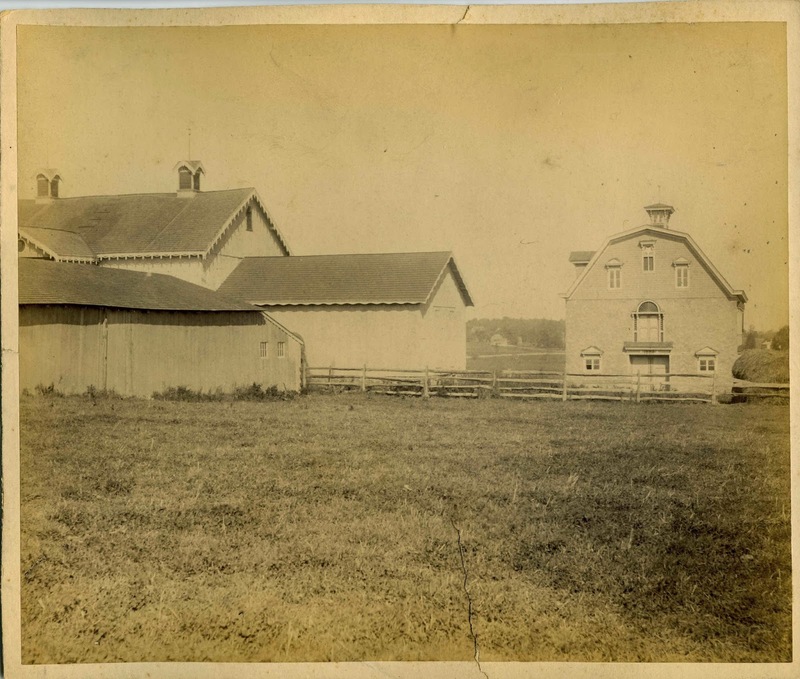 A finding aid to the collection is available here.